It’s now well into 2017 as I get round to writing up this article , but last year I got an invite to one of my favourite venues - Brooklands racetrack in Weybridge Surrey. 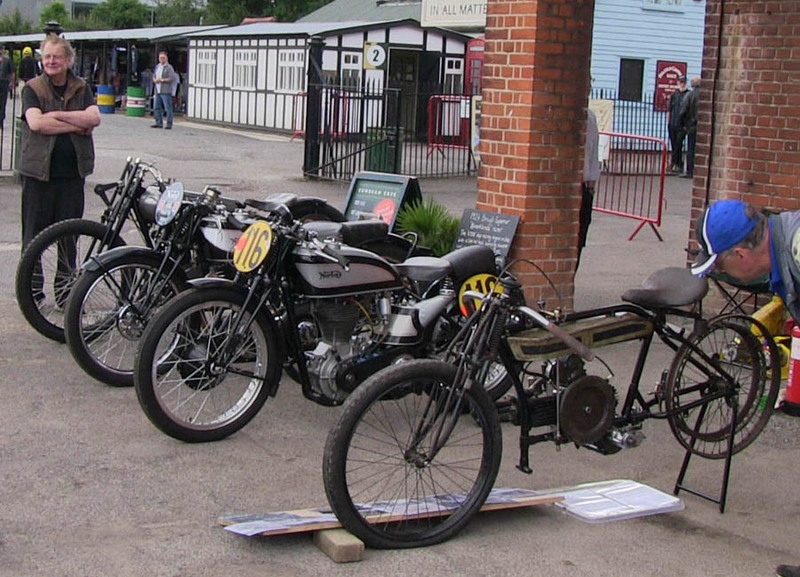 To my knowledge, there haven’t been many old bike events at Brooklands in the last couple of years – not sure why, but this was a good opportunity to visit the UK’s oldest and most historic purpose built racetrack – a venue that is a wonderful throwback to a different era and steeped in history. The event was in early July, and due to workload turned out to be my only event out last year. 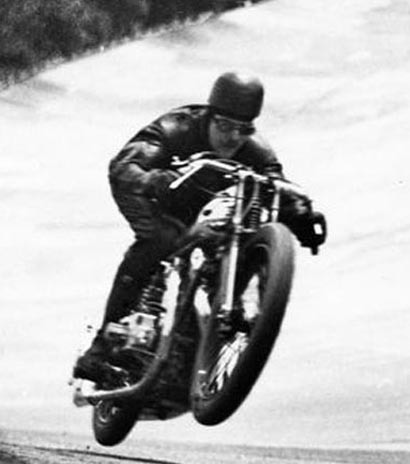 I took the pre-war Racing International, with open megga fitted – with the opportunity to revisit the Test Hill and make a bit of noise. 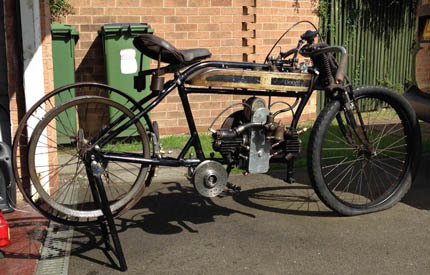 It was also an opportunity to take along my latest project bike – a Douglas 2 3/4hp sidevalve twin, which I am building as a sort of ‘loose’ replica of the bikes that ran in competition events pre WWI. 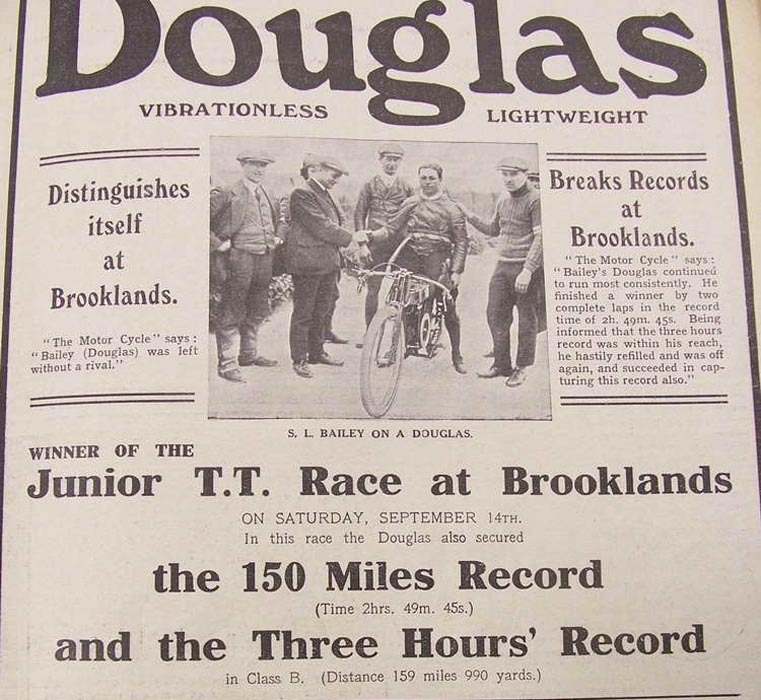 1912 was probably the most successful year for Douglas, with a 2 3/4hp model winning the 1912 Junior Isle of Man TT in the hands of Works rider Harry Bashall and the 1912 Brooklands Junior TT in the hands of Les Bailey (who was very closely linked with Douglas and raced often at Brooklands). 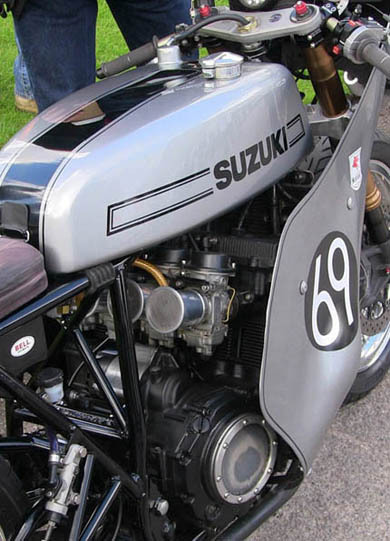 My own bike was purchased as a ‘kit bike’ earlier in the year from Bonhams at Stafford. 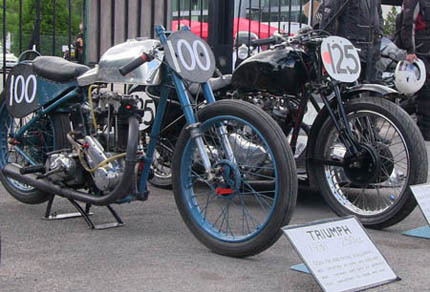 Although the frame and engine are both stamped with a 1920 number, it came with an earlier set of forks – as used on these earlier racing models. 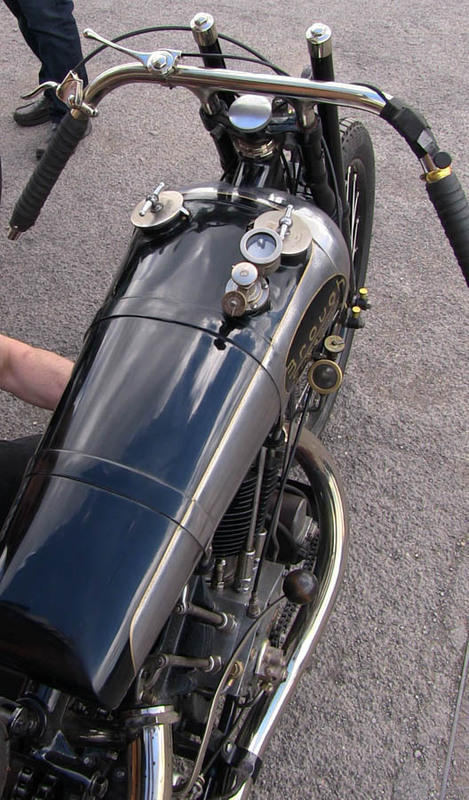 I had spent the intervening months since purchasing really getting to grips with the bike and was already smitten with it and the terrific sense of history of working on a bike almost a hundred years old. 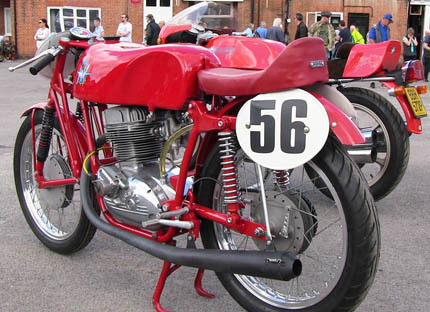 As the project kit when purchased was one of a number of similar Douglas Lots, it seemed likely to have come from the collection of real Douglas collector. 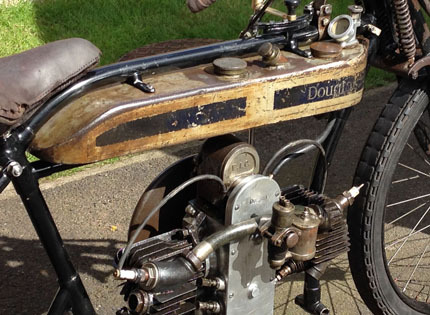 I suspect the previous owner had died and his family were disposing of the collection – and I could tell that some of the parts in my kit bike (as well as the forks) looked to have come from a a bike from an earlier vintage. 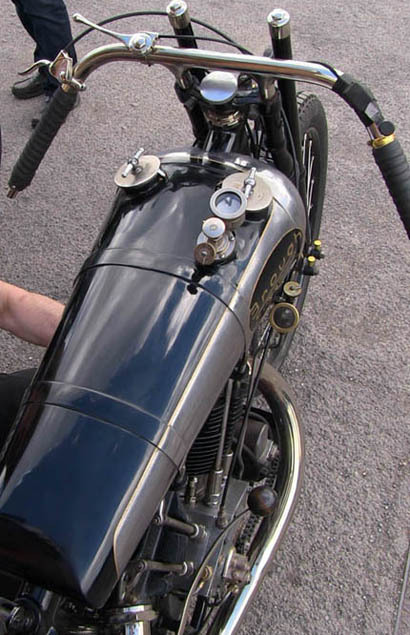 Particularly the seat, carb, inlet tract, toolbox looked to have traces of having been a WW1 army bike – this model was one of the most popular motorcycles used by ethe British Army in the First World War, I believe approximately 25,000 being eventually supplied to the armed forces – and many of these bought back from France at the end of hostilities and later sold on to the public. 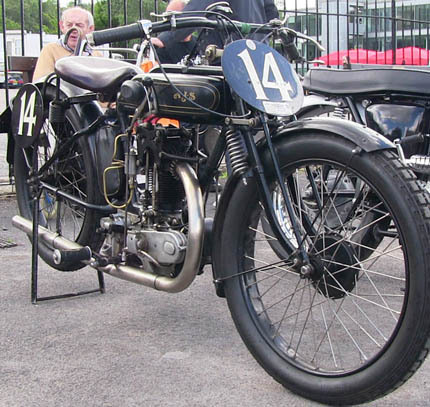 The 2 3/4hp 350cc sidevalve model was actually listed for a very long period of time, approximately 1910 all the way through to the early 1920’s. However, my bike’s specification is pretty much the same specification as that of those used for competition circa 1911 - 1914 – i.e. 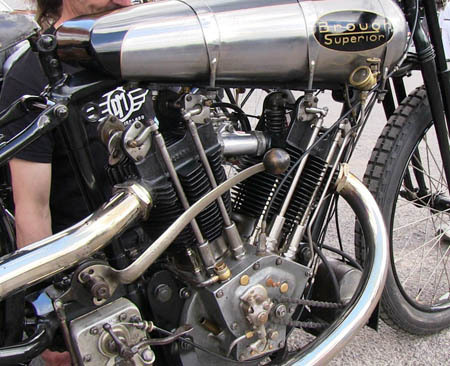 sidevalve engine, 2 speed countershaft with direct chain drive from engine to gearbox – but no clutch and then belt drive from gearbox to back wheel. 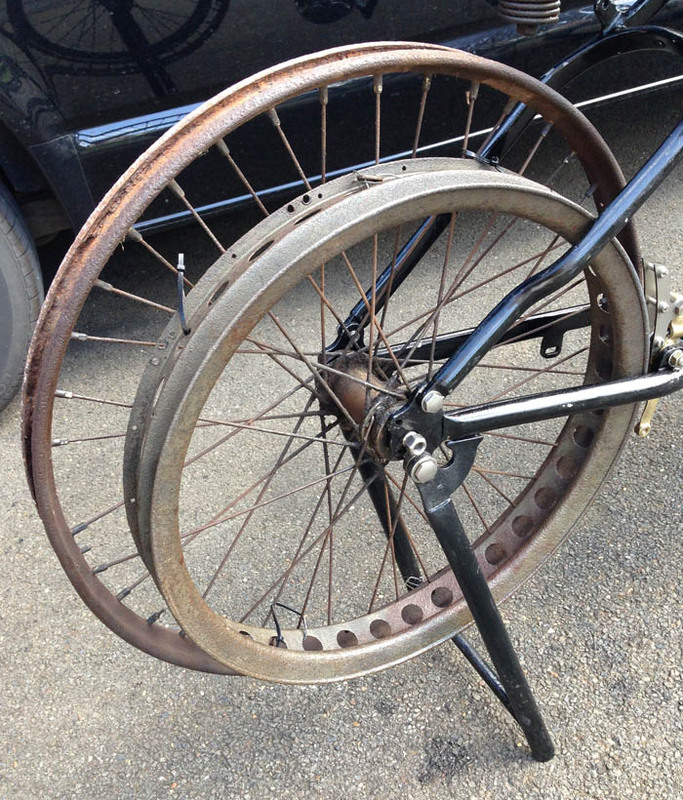 I gather it is normal to put it into low gear then push start, but clutchless change into High gear once on the move. Brakes are very early style ‘cycle’ brakes on the front – acting against the front rim, and a block on the back acting against the belt rim. Since purchasing the kit – having been interested in a flat tank project for a few years now, I have learnt a lot more about the model. It was offered in all kinds of variants – and is often seen in full touring spec with deep mudguards, acetylene lighting, footboards etc, but was also available in a more sporting variant, with slimmer mudguards, no lights etc etc. In those early days of motorsport there was little to distinguish these sporting road models from race bikes, so I had decided to build mine in something similar to the specification that would have been used for those early pre-World War One road/race bikes. 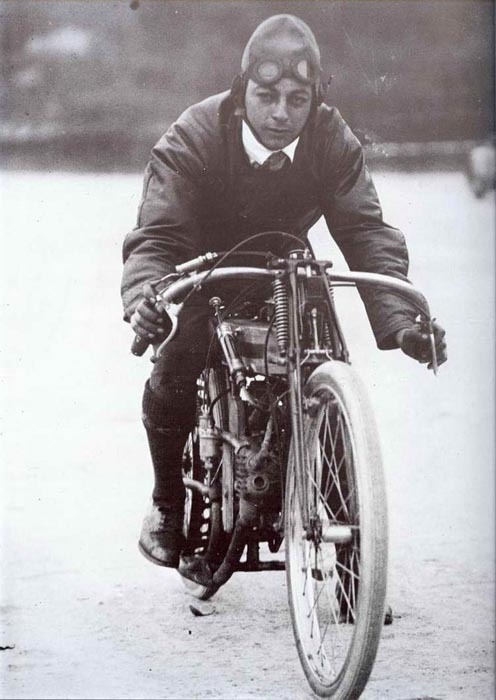 Particularly – what I had only just finished about a week before the Brooklands event, was the manufacture of a set of handlebars which I had had made to a profile very similar to the 1912 race bikes. These were actually far more difficult to make than is first obvious. I had used photographs of the 1912 TT bike (and I have not been able to find many photos available!) and other race bikes of that era to work out an appropriate profile, which I had bent into a spare length of handlebar tube. 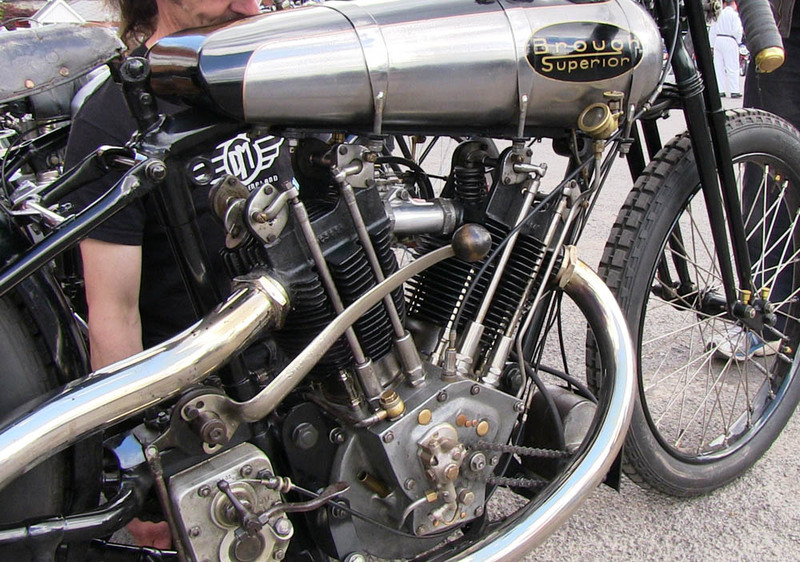 The most difficult job was then to machine from a 2” x 2” square steel block an appropriate lug that would attach the handlebars to the vertical fork lug – which look to be how the Works bike of 1912 were made, rather than the more normal ‘pushbike’ handlebars of that era. By allowing them to be mounted like this it makes them very low and sporting looking. 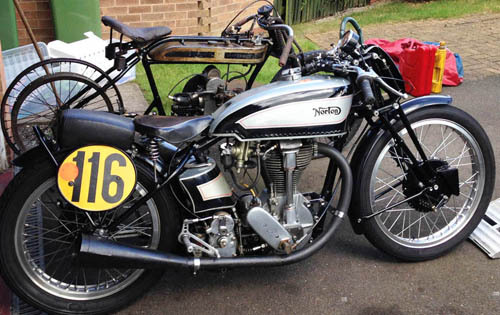 Not sure how comfortable they will be on the road – but they certainly looked the part on the bike and really helped give a ‘Brooklands’ look to the bike. 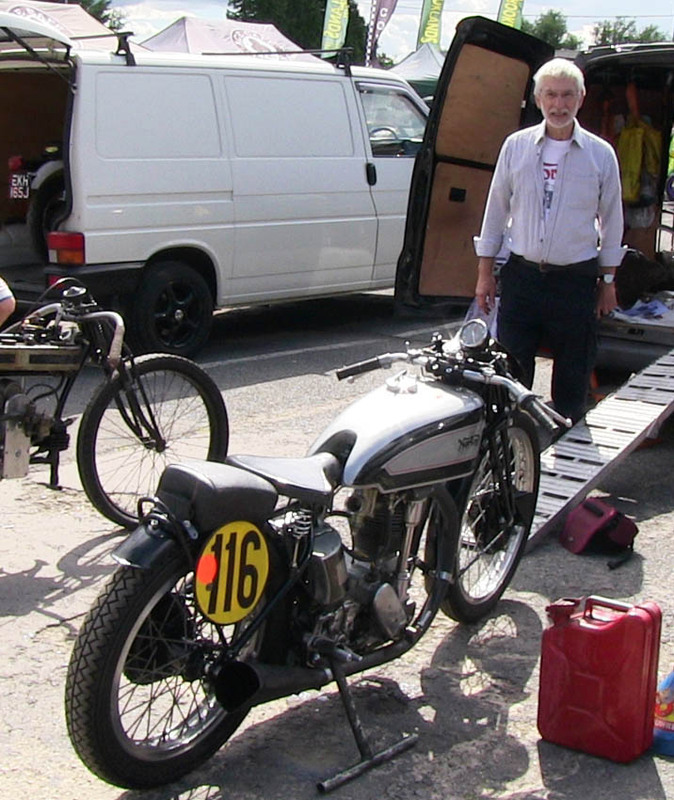 Loading up on the day before - in foreground my 1938 Racing Inter - with open Megga fitted (previously having achieved 128.5 db on the sound meter!) and my semi assembled Douglas 2 3/4hp (in sports/racing trim) in background. I will cover the build in other articles . 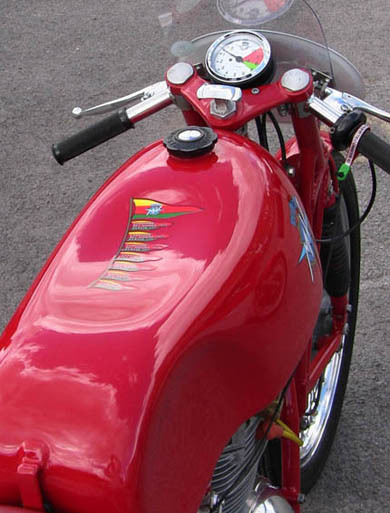 . . but save to say, even just loosely cobbled together as it was, with its original paintwork fuel/oil tank and original (unrebuilt at this stage) wheels – still sporting an original and very old Dunlop Cord front tyre, it certainly looked the part! It had that lovely look of a very old race bike which might just have been wheeled out of an old barn and had the cobwebs dusted off it! 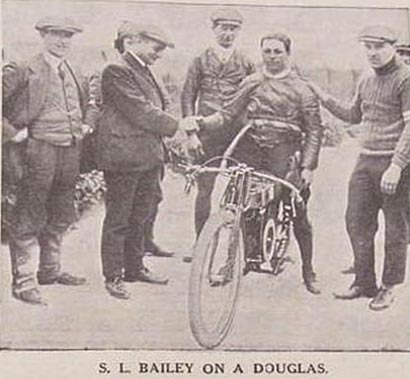 Les Bailey was a well known Douglas rider in the early 1900's and later went on to be their development rider. 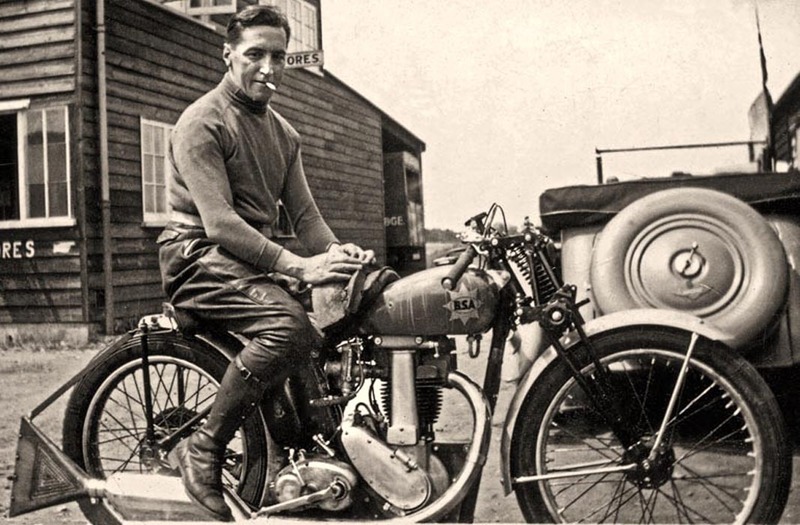 Here he is pictured in September 1912 on the 'Works' 350cc Douglas 2 3/4hp at Brooklands. 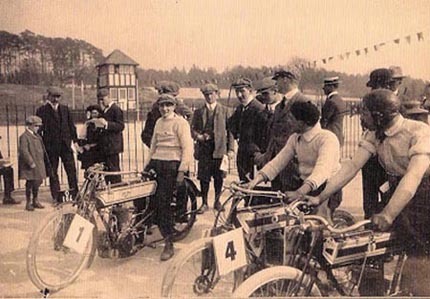 And here is Les again, being congratulated after winning the 1912 Brooklands Junior TT.- proving that my model of Douglas does has some good provenance at this famous track! 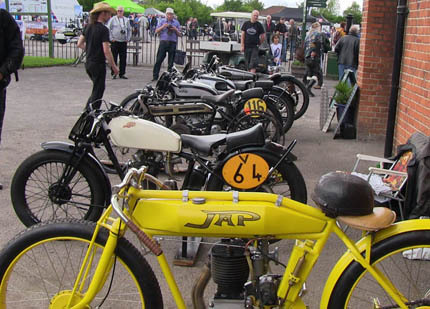 I guessed that a lot of people at the event may not have seen many genuine race bikes of this era, so I had also prepared a wooden board with a selection of laminated period photographs, so passer’s by would have something to look at and read to give context. 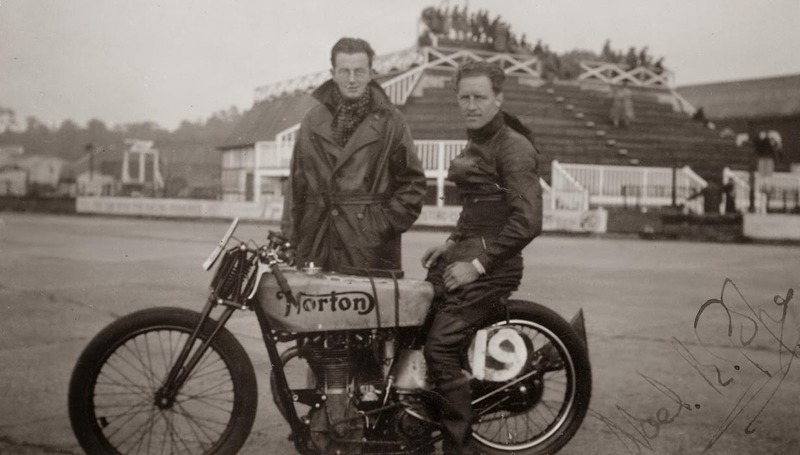 We got there early and as both the Norton and Douglas were of an appropriate (pre WWII) age, we were asked if we would like to park directly in front of the Brooklands clubhouse, which was nice. 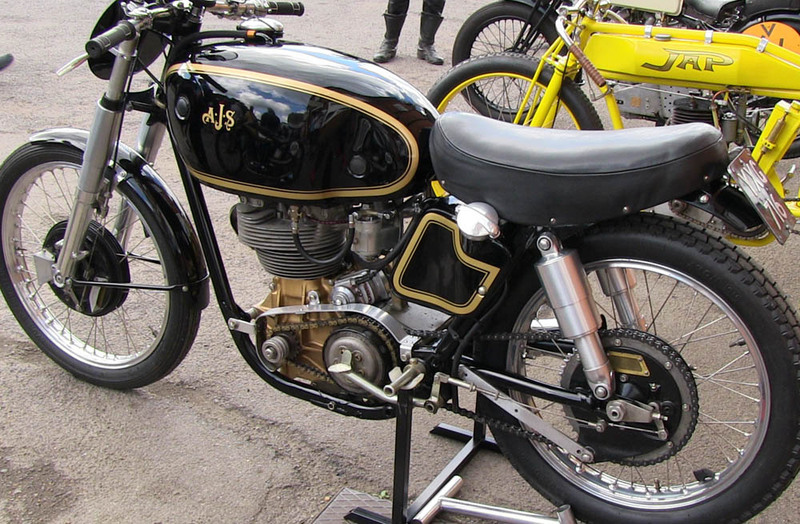 I am pleased to say that as the day went on and spectators started to arrive – I was amazed at the amount of attention the Douglas got! 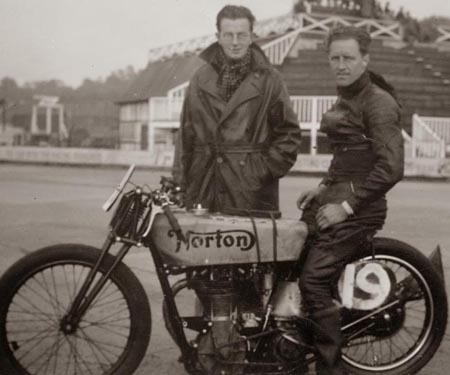 I am quite used to spectators looking at the Norton’s – but frankly most people seemed to walk straight past it to look at the Douggie. Through the day, it seemed to provoke a lot of interest and conversation – which made me really pleased I had bought it, it is always nice if you can bring a smile to people’s faces. As for the rest of the day – well as is almost always the case with a day out at Brooklands – it is the Right Crowd without Crowding! Not strictly the case – as the place seemed quite packed in the afternoon! But the weather was good and it was great to see some old friends – particularly John and Ian Baine who were parked up a few bikes down from myself with their gorgeous and rare early racing Brough Superior, Sheila O’Neill and old racing friend Richard Cornish. 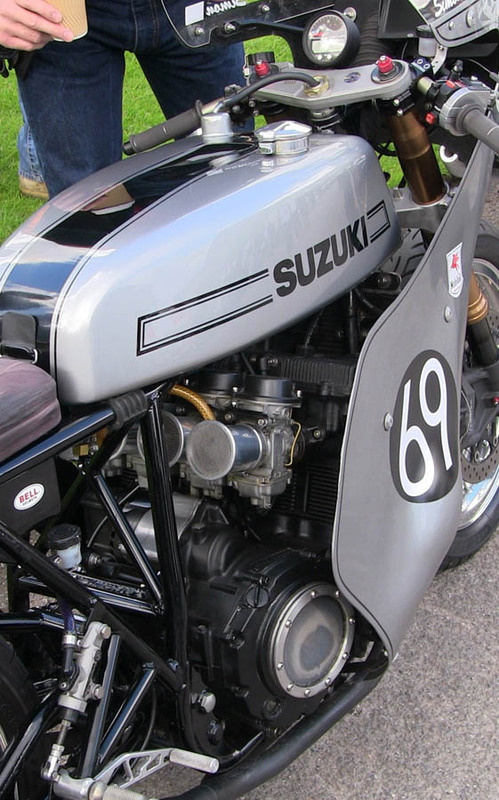 Unfortunately my first run up the Test till was a no-show as I had fitted new clutch plates before the meeting and not had the chance to bed them in. 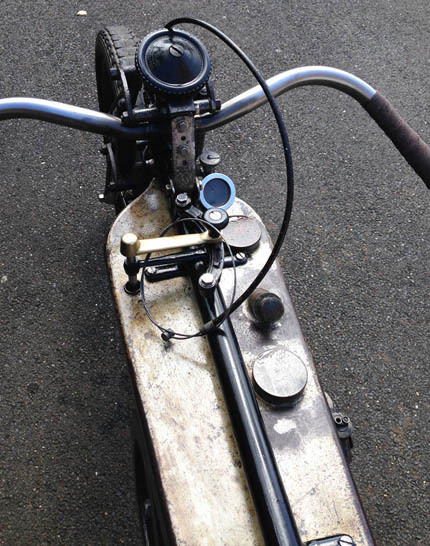 Because of this, although the bike was running crisply I was struggling to find neutral with a slight drag – not ideal when riding around a crowded Brooklands courtyard. Luckily – I was able to get it sorted (thanks partly to a helping hand from old friend Barry Stickland – thx Barry) and got a run up the hill in the afternoon, along with a wide selection of other bikes – both old and new. There are a few of these runs included as a short Youtube video accompanying this article, taken by my friend and companion on the day – Andy Kirk. The weather throughout the day was good, decent crowds, great atmosphere and (other than long runs back to my van to fetch spare clutch plates. . . which had to be parked a long way from the Clubhouse) a lovely back day. 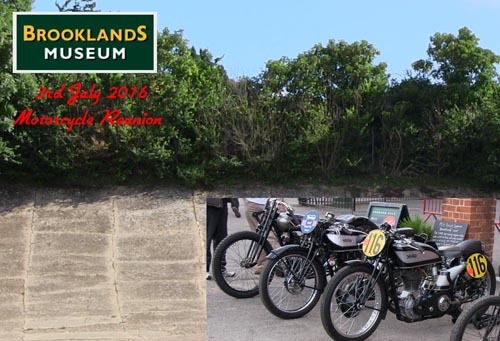 I would recommend to anyone that has not visited Brooklands before, if you get a chance, please visit and soak up the atmosphere – well worth the visit! I spotted this BSA in the main clubhouse square. I am not exactly sure which model it is, but thought it looked period for the sort of bike a Clubman might bring to Brooklands to race, then ride home. I expect maybe an Empire Star (or Blue Star?). 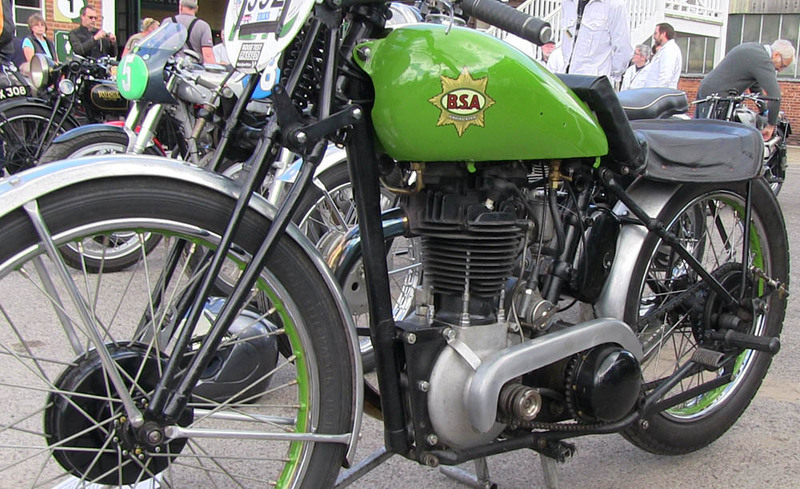 And here, just to prove the heritage the BSA Gold Star had at Brooklands - a picture of Wal Handley on the Empire Star model that he took to over 100mph at a Brooklands race, which led BSA themselves to produce a sports version that became the legendary BSA Gold Star - Not sure if this bike had a bronze or alloy head? 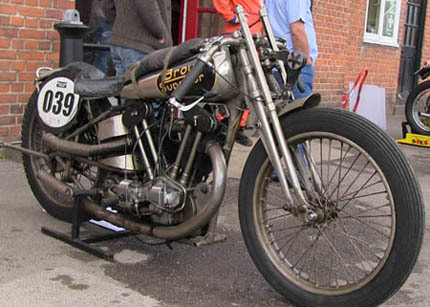 What a big Brough looked like in its hey day thundering round Brooklands!! 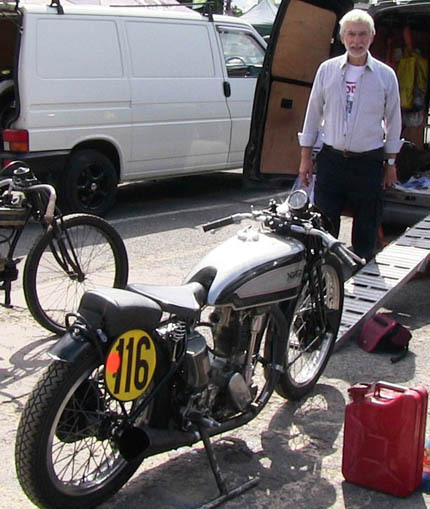 One of the true gents of the historic bike movement - John Bain, Ian's father. 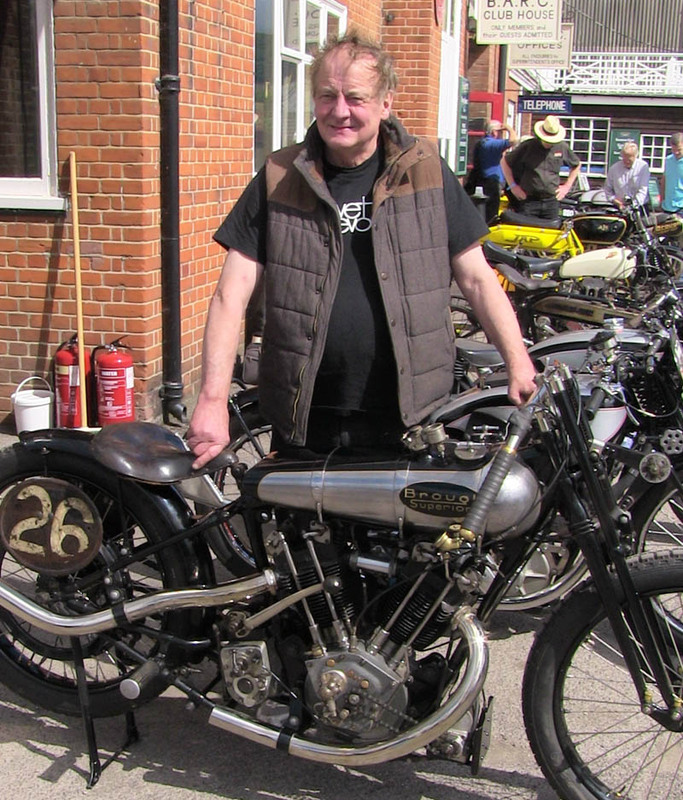 It is thanks fo far sighted people like John, who collected old Norton's and broken race bikes in the '40's and '50's that mean we get a chance to see bike like this today. 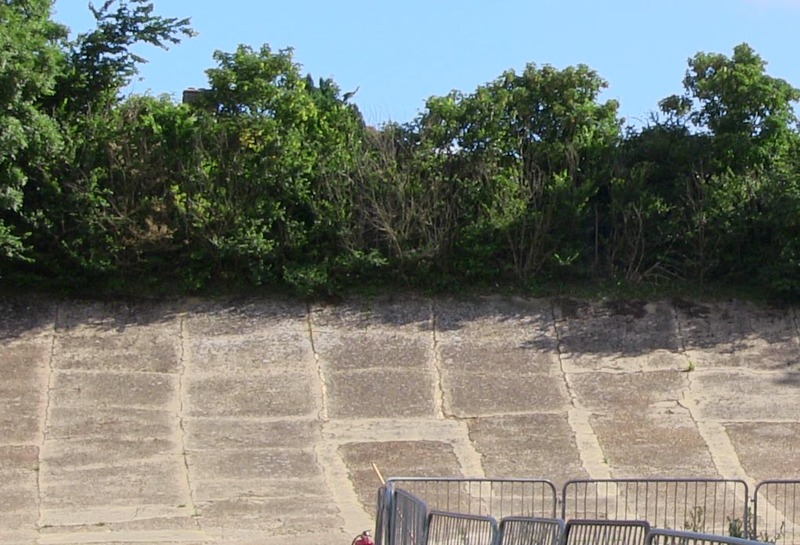 The banked circuit as it is today with the neghbouring trees now overhanging the uppermost part of the banked track. 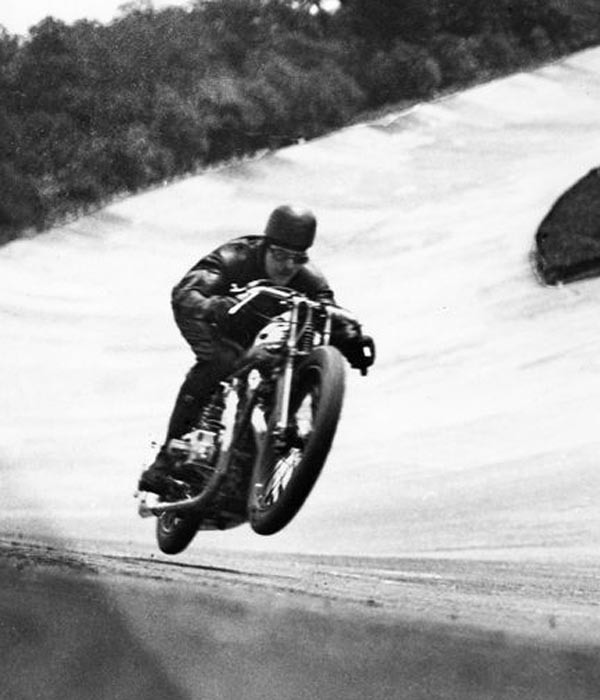 I have ridden round it a few times in the past and can tell you that it is now extremely bumpy and you need to watch carefully to avoid the worst of the potholes! 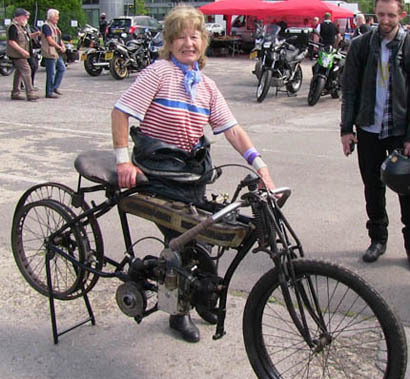 It was also nice to see some old friends - particularly so was seeing old sprinting friend - Sheelagh Neil, pictured here in a lovely shot with my Douglas - that she took a real fancy too! 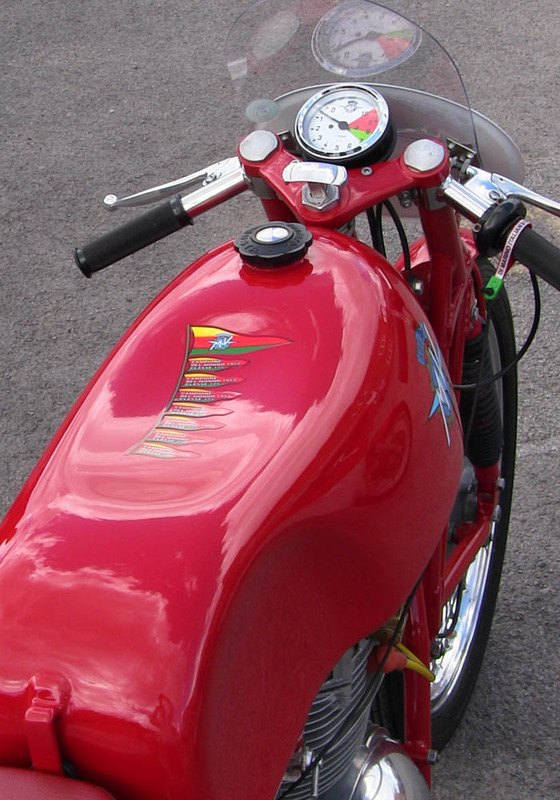 If you are reading this - hi Sheelagh, and when I get it running I promise you a ride on it!
. 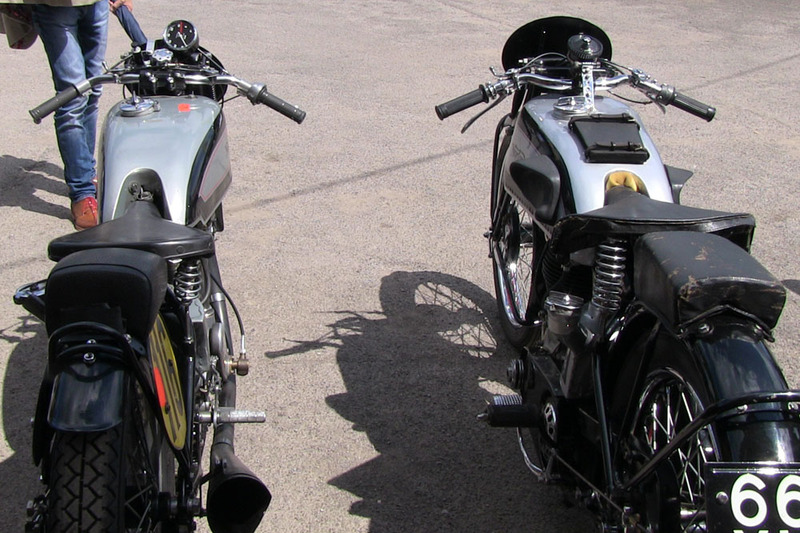 . . and here are Sheelagh's sprint bikes - a Triumph single and Triumph twin sidecar outfiit. When I first started sprinting and also passengered for Titch Allen, Sheelagh was also passengering for her well known father - Ossie Neal. 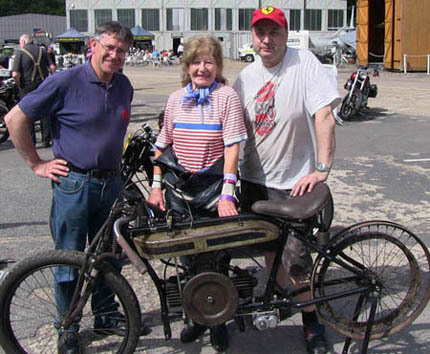 After Ossie passed away - Sheelagh took over riding the sidecar outfit herself and is very fast! 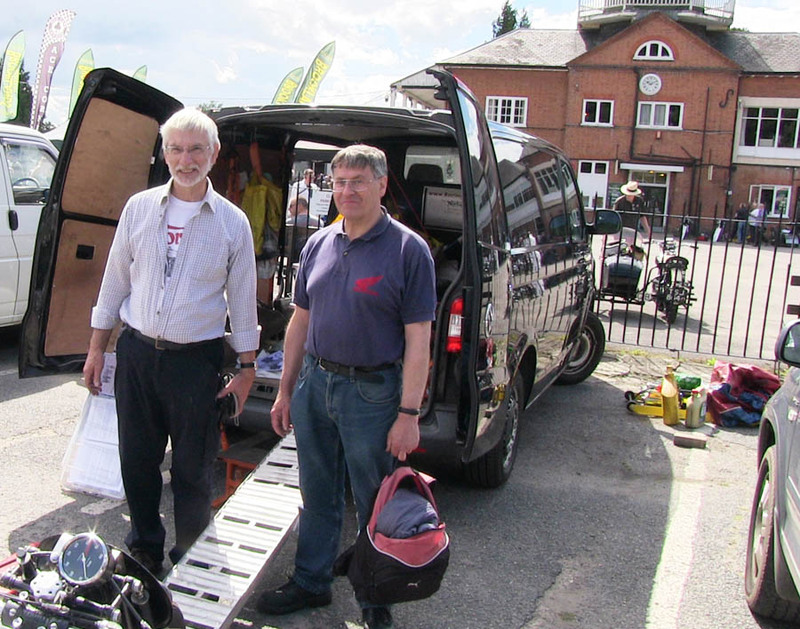 Another old racing friend who it was nice to see on the day was Richard Cornish - another well known Norton racer from VMCC racing in the 1970's - '80's. 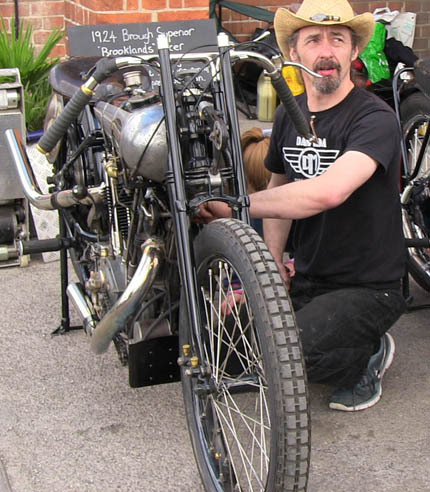 Last time I had seen Richard was at a Mallory Thousand Bike Festival a few years ago, so it was nice to have a chat and catchup! 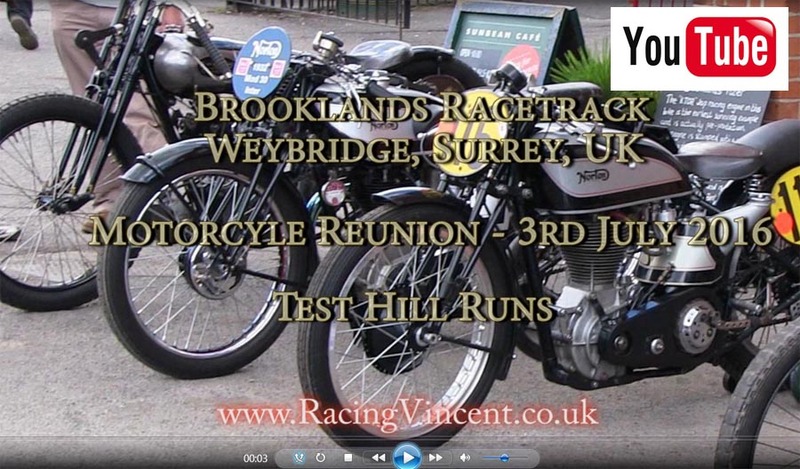 Click on the photo to watch a video I posted on YouTube showing a bit about the history of the Brooklands track and a few of the runs we did up the Test Hill on the day,- including one run of my Norton and my fat arse!